I caught the train from Boston to Washington - my geography is pretty good - I can find most countries on the map - but I had no idea that the train went through New York! My ticket didn't let me get off, but at least I did get a good view of Manhattan. Of all the cities I've been to Washington was the biggest surprise - there are so many things to see and do. The Whitehouse, the FBI building, the Washington Monument, the Korean War Monument, the new World War Two Monument, the Lincoln Memorial. The Smithsonian Aerospace museum is amazing, in the entrance - there is the Bell X1 in which Chuck Yeager broke the sound barrier, next to that is the Spirit of St. Louis, underneath that is the Apollo 11 Command module. There's even a bit of moon rock that you can touch! If you make your way upstairs you can see the Wright Flyer. No building in Washington can be taller than the Capitol Building - that alone makes the city a human sized one. All the architecture is down at eye level. Arlington Cemetery is worth a look, and you must see the JKF memorial, and the changing of the guard at the Tomb of the Unknown Soldier. I thought that there was more to see in Washington, so about a year after my first visit, I decided to head back! 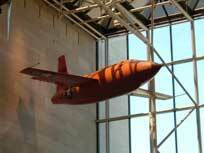 I revisited the Air and Space museum, and they had added Spaceship One to their collection, and suspended it right next to the Bell X1. Then it was a stroll across the National Mall to the National Archives, and I got to see the Declaration of Independence. I also took a tour of the National Bureau of Engraving and Printing, and managed to see over six million dollars being printed!